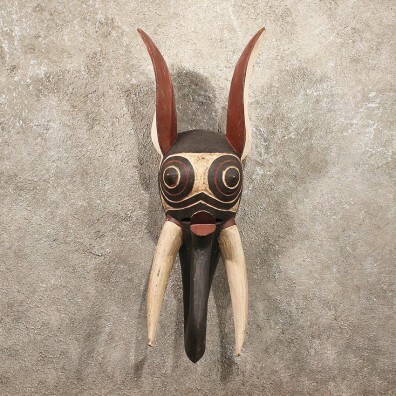 This is an original African Tribal Mask, carved in the likeness of a Warthog. 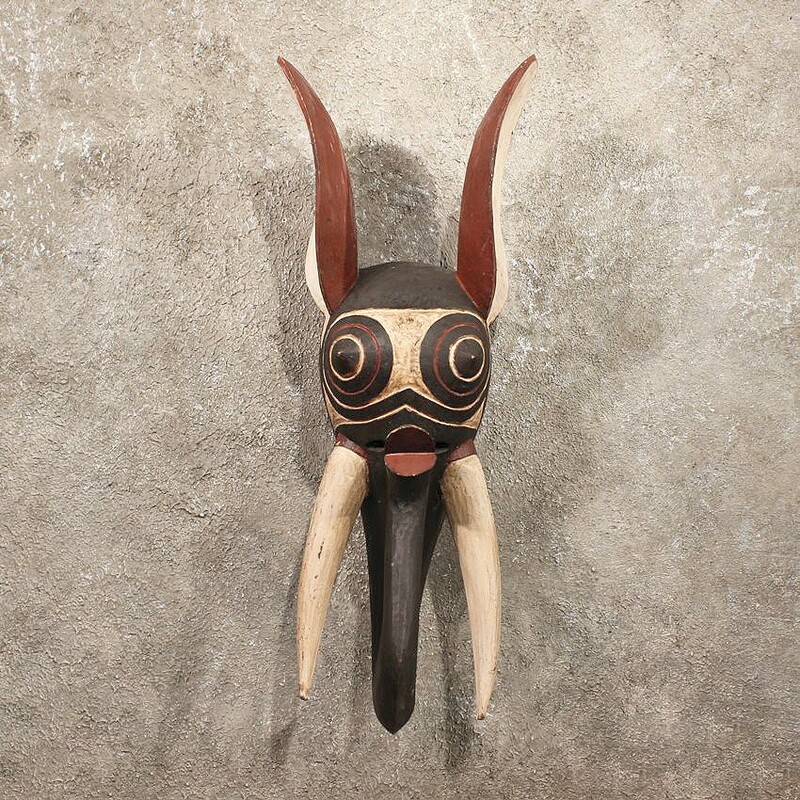 It is from the 1930's and is a true original African Mask (not a modern replica). 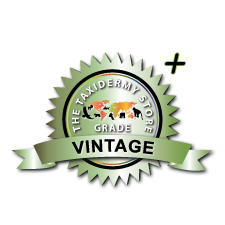 The detail, coloration and craftsmanship are all outstanding and in great condition for a vintage piece. - This item is carved from wood. - There is a hanger already attached to the back. - It will hang on a single drywall screw.